Ed Helms will play Rusty Griswold in the ‘Vacation’ Reboot’!!! 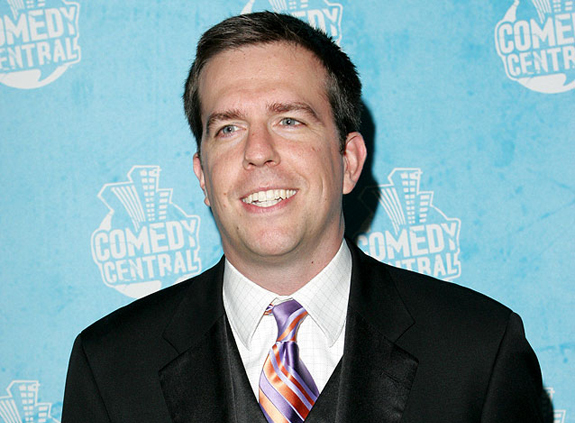 Ed Helms is in final talks to star in the ‘Vacation’ reboot for New Line Cinema. Helms will play Rusty Griswold, the kid from the original films who in the new film will be all grown up and taking his own family on a vacation. John Francis Daley and Jonathan Goldstein are directing the project which will serve as more of a sequel as well as a reboot to the Chevy Chase franchise. The project will start filming once ‘The Office’ wraps up next spring. Daley played Sam Weir on ‘Freaks and Geeks’ and wrote the recent film ‘Horrible Bosses’. Not only will helms be starring in the ‘Vacation’ reboot, but he is also shooting the 3rd installment of ‘The Hangover’. I hope Chevy Chase, Beverly D’Angelo, and Randy Quaid make appearances in this reboot. I wonder if they will ever make it to Hawaii. This entry was posted on Wednesday, July 11th, 2012 at 2:55 pm	and is filed under Film, News. You can follow any responses to this entry through the RSS 2.0 feed. You can skip to the end and leave a response. Pinging is currently not allowed. « Jason Bateman, Ron Howard, and Mitch Hurwitz Confirm New ‘Arrested Development’s Episodes Start Shooting in a Few Weeks!! !